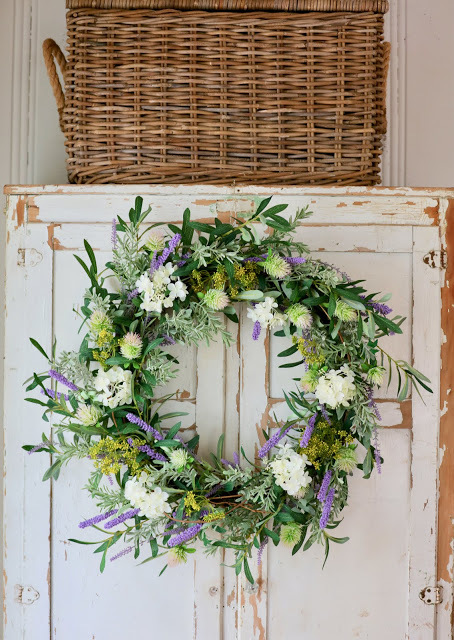 Greet your guests as they enter your home with a floral wreath in your entryway. One quick display tip is to hang it on a coat hook. A strategically placed piece will make a lasting impression when they leave, too. 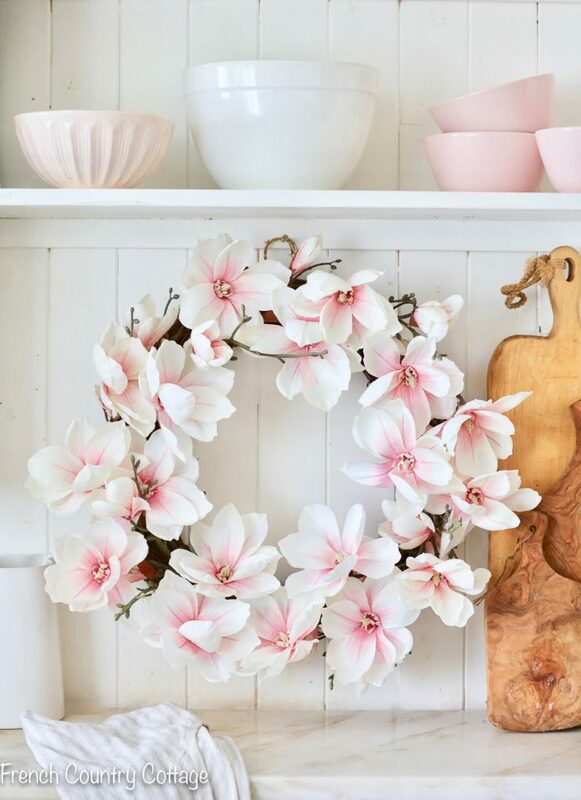 Break the monotony of a bare hallway by adding a floral wreath. Hang one on the banister or beside the staircase to decorate this high-traffic area. Tip: Make sure to secure your décor with damage-free techniques. 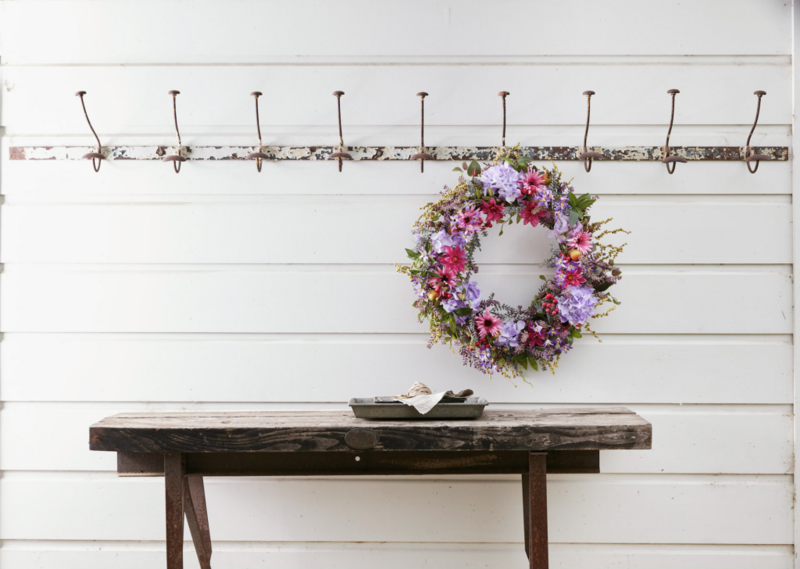 Find out how to hang wreaths without nails or holes here. 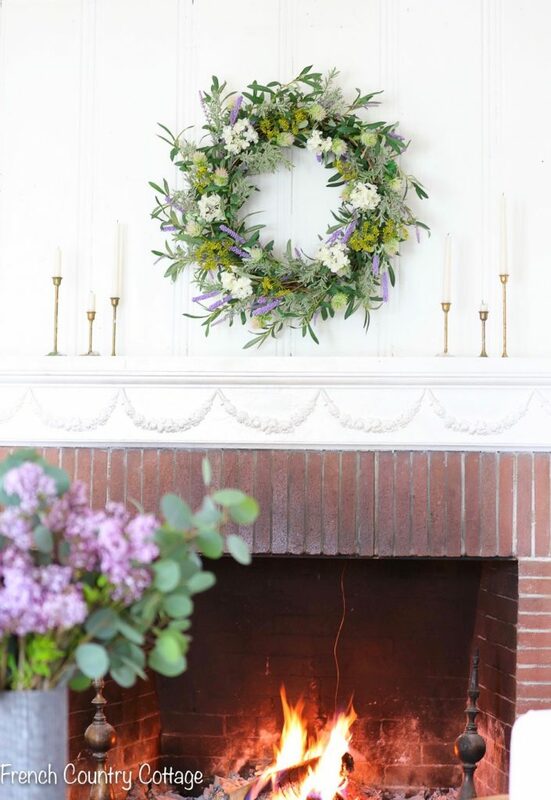 Next to the front door, the fireplace mantel is the most popular spot for wreaths. It creates a center of interest that is easily seen from any corner of the room. Windows are a great place to hang indoor wreaths for maximum exposure. They can be enjoyed from outside as well. 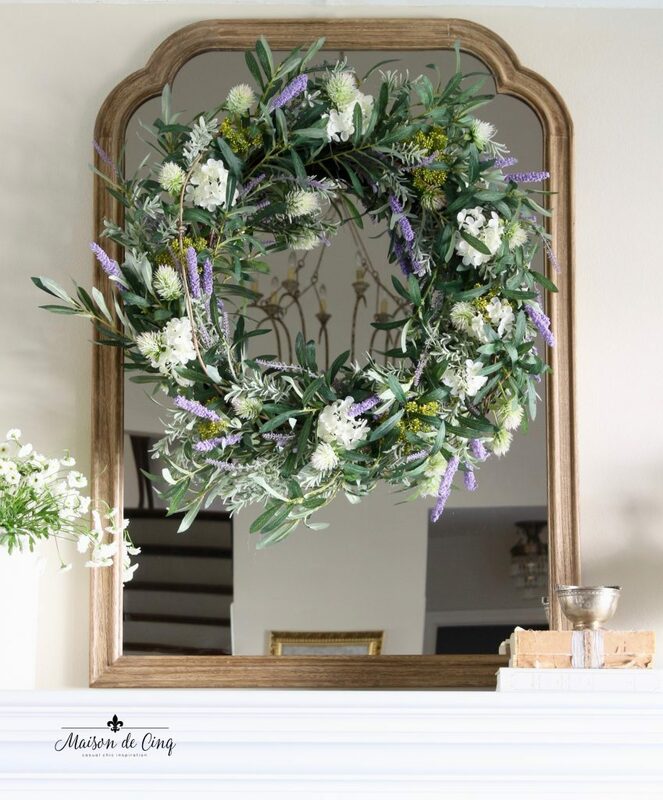 Another idea is to dress up a mirror or framed artwork with a wreath. Remember to scale it to the size of the mirror or artwork for visual impact. Make your kitchen more warm and cozy by hanging a wreath on a shelf, cupboard, or stovetop. Furniture with knob handles are natural display spots. Add a dash of cheer to dishwashing with a pretty floral wreath above the sink. Tip: Use a thick ribbon to hang your wreath for a polished look. Make sure it’s supported by the ribbon at the 12 o’clock position. You can use transparent nylon fishing string for less visibility. To make heavier wreaths more secure, try placing the string at the 1 o’clock and 11 o’clock positions. 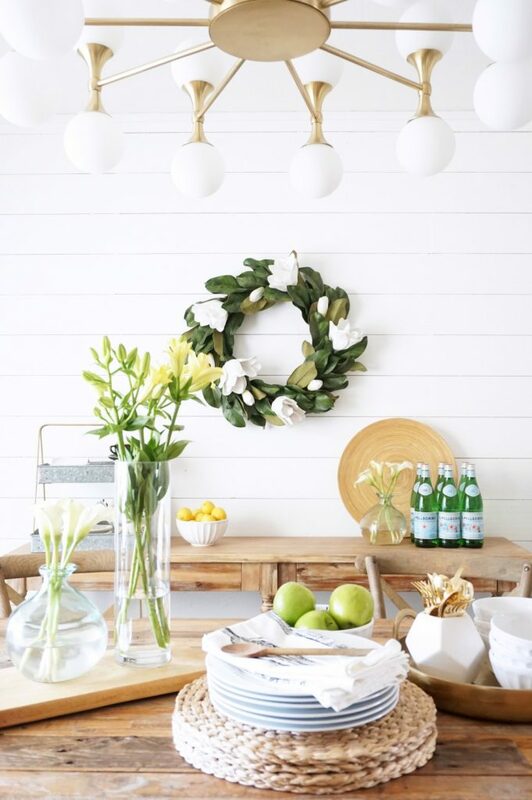 Get ready to host memorable meals with a DIY wreath turned chandelier above your table. Or, lay one flat and place a lamp or LED flameless candles in the middle to make a centerpiece. Complement your tablescape with a wreath at the buffet table. This ties in the look of your decorating theme. Add an accent by placing a matching wreath at the base of a cake stand or serving platter. 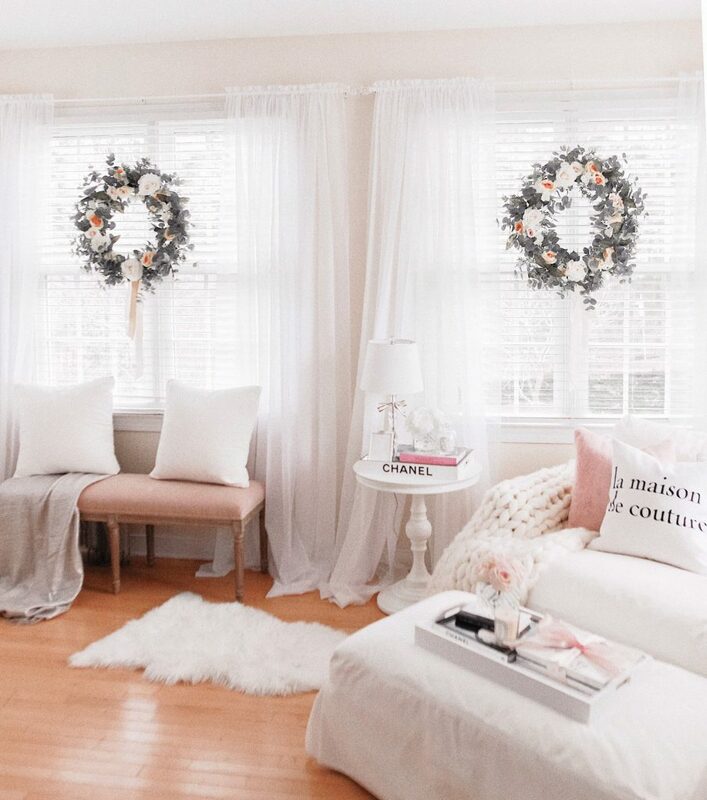 Hang a wreath on the wall above your bed for a refreshing view. Tip: Display it with an empty picture frame (find a beautiful one at thrift stores or recycle an old one you no longer use) for a customized twist. Another idea is to hang a pair of wreaths on closet doors to add pops of color. Or, use them to bring a seasonal touch into your bathroom area. Tip: Stick an adhesive hook upside down at the back of the door. Position the wreath in front of the door. Loop a string or ribbon through the wreath and tie the ends. Then go over the door and attach the string to the hook at the back. 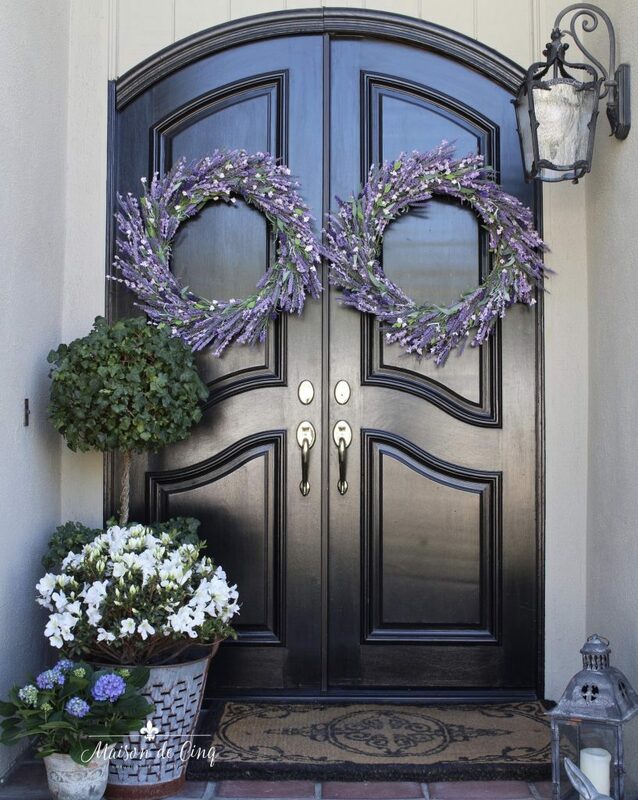 Floral wreaths on front doors are a familiar sight in Spring. They look as great in other places around your home. Want your wreath’s colors and brightness to last all season through? Try lifelike artificial flowers. Visit Balsam Hill for more flower wreaths and arrangements.